Yeah! Christmas is coming! And free shows in shopping malls are here too! Ever since the craze about Christmas shows organized by Shopping malls started about 5-6 years ago, it had given some parents (like us) an additional excuse to visit the shopping malls more frequently. Well, we don’t get to see much of the cartoon characters here in Singapore, plus the shows are free to watch most of the time, so why not? 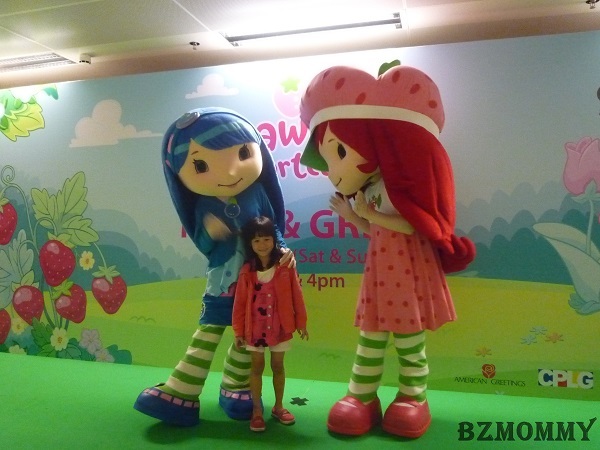 Since Dawn was 3, we had watched a few sessions of Barney, Strawbrerry Shortcake, High-5 etc in different shopping malls. So what’s on for Year 2013? I have listed here the shopping malls which are having cartoon characters shows / play area or meet & greet sessions. Take a tumble in the Krusty Krab Ball Pit, challenge yourself in the Pineapple House Maze, and cruise your way down Giant Slides! Simply spend a minimum of S$20 in a single receipt (S$15 for Changi Rewards members). 5-15 Dec 2013 at Atrium Level 1. Show Sessions : 1pm & 7pm for Tues – Friday. 1pm, 4pm & 7pm for Saturday & Sunday. No shows on 9 Dec, Monday. ** Redeem a photo pass (admits a family of 4) with S$30 min spending in a single receipt. ** Take a photo with them, with S$50 min spending in a single receipt. Show Sessions : 2pm & 7pm for Tues – Friday. 1pm, 4pm & 7pm for Saturday & Sunday. No shows on Mondays. ** Redeem a Meet & Greet pass with S$50 spending. Show Sessions : 1pm & 7pm for Tues – Friday. 1pm, 4pm & 7pm for Saturday & Sunday. No shows on Mondays. Show Sessions : 7pm Tues – Friday. 3pm & 6.30pm for Saturday & Sunday. No shows on Mondays. ** Limited Photo Pass available. Click the link for all Show Sessions & Locations. Show Sessions : 4pm & 7pm daily. No shows on Mondays. ** Redeem a pass with min S$50 spending in a single receipt. Show Sessions : 1pm & 4pm for Tuesday – Thursday. 1pm, 4pm & 7pm for Friday, Saturday & Sunday. No shows on Mondays. ** Redeem a Meet & Greet pass with min S$30 spending. Wow! That’s a few weekends to be busy with. I will bring the 2 girls to catch some shows. What about you? Disclosure : The above is complied by myself and all information is correct at the time of publication of this post. Please check on the url links for updated or complete information of the events. This entry was posted in Free!, Fun! and tagged Kids-Friendly Activities, Meet & Greet.